Also known as software designer or software engineer or a programmer, this discipline is basically the development of software products for commercial or private use. It encompasses not just computer programming and writing code, but also includes the early designing processes as well as the tweaking and maintaining the final product. Software is usually developed with a specific target audience in mind, or for a specific client that has requested it. Operating systems, computer games, business applications, and internet security systems are just some examples of software that they develop. There are two types of software developers, applications engineers and systems engineers. Applications engineers look at users’ needs and create a program to meet that need. Systems engineers maintain and expand an existing computer system. They receive the same type of training, but applications engineers generally earn more. If you are interested in a career in software development, be sure you understand the type of training and education you will need to enter and successfully work in this field. There are always stories of computer geniuses who succeed without any formal training and college degree, and while it is true that outstanding computer skills and other related skill sets can help you break into this field or do well without a computer science degree, most software developers are highly trained and have earned work experience as well. A four-year degree will grant you more job opportunities and higher pay, but it is possible to break into this field with an associate degree. There are related degrees offered at both levels. The best educational path toward a career in software development is to major in computer science or software engineering, although mechanical engineering, applied physics, or math, as well as other related disciplines, could still lead you toward a career in software development. Any educational path you choose should include a lot of mathematics and computer science courses. Courses in a computer science program will cover algorithms analysis, software design, hardware computing environments, software operating environments, computer architecture, databases and operating systems, and compilers as well as other specific courses. It can sound like a complicated course schedule, but if you are talented with computers and love to work with them, any computer science program at an associate or bachelor’s level will first give you a good foundation for computer skills. Once you have taken the basic courses, you will take courses focusing on advanced and specialized skills, choosing which areas you want to pursue specialized study in. When choosing a major, be sure to understand the different options your college or university offers. 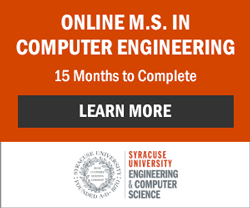 Majoring in software engineering means basic computer science courses, but also focusing more specifically on software development after the basics are covered. You will learn how to design and implement software and how to solve computing problems. A computer science major covers the core topics, but then has the choice among more advanced topics. This can cover software development. Internships are a great way to get experience and break into this career. Many large firms will also train new hires that are newly graduated with little to no experience. You will need either a degree and/or solid experience and must be familiar with many different computer systems. For those serious about this career, voluntary certification as a Project Management Professional (PMP) is a smart move. By passing the internationally recognized exam, you will demonstrate to future employers that you went one step beyond in becoming qualified. Computers are such an integral part of our society’s infrastructure, permeating our work lives, social lives, business, healthcare, home management, and study that we often don’t even realize just how large a role they play in our lives. And because of their importance and the constantly shifting needs of the people who use them, you can be sure that there will always be a need for experienced software developers to create new software. Internet security is just one example of a growing aspect in this field. Software developers are highly paid for their skills according to BLS salary data, averaging $87,790 for applications in 2010 and $94,180 for systems. For those who love computers, tackling complex problems, and constantly learning in this field, consider software development and which course of study most interests you.